This post was updated on Saturday, Feb. 9 at 10 a.m. with the proper spelling of Kevin Adell's last name, after Jack Lessenberry pointed out the error in the comments section. We've also included a portion of Lessenberry's response. Detroit radio station 910-AM is known for giving some of the city's most notorious characters a platform when no one else will. But the partnerships rarely last — as was the case, for example, with Monica Conyers, who was fired. 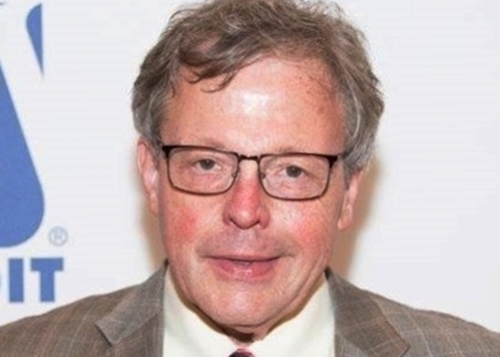 The latest to fall is veteran journalist Jack Lessenberry, who joined the station last year after resigning from his roles at Metro Times, Michigan Radio and Wayne State University over allegations of inappropriate behavior towards women brought to light by Deadline Detroit. Lessenberry lasted seven months to the day at 910amSuperstation before his "Primary Source" show was "suddenly canceled" on Thursday, he said in a Facebook post. The show aired weekdays from 9-11 a.m. While Lessenberry said he was let go because station owner Kevin Adell "wanted to go in a different direction," Adell provided a little more detail for Deadline Detroit. The show, Adell said, "wasn't fitting with the station." "There was nothing wrong with Jack, but he wasn't really taking calls," he said. "And, you know, radio is engaging. I need calls, I need guests. I think what Jack went through before, I think he was a little bit timid on taking calls." In a comment on this post, Lessenberry claimed he had "multiple guests and many regular callers from all walks of life" on his program. "Perhaps Mr. Adell was too busy to listen," Lessenberry said. He also again dismissed Deadline Detroit's report on the harrassment allegations as "totally one-sided and dishonest." Deadline Detroit quoted parts of Lessenberry's response to the allegations in last May's in-depth main article and presented his full statement in a separate post that day. In his comment, Lessenberry added that had the writer of this piece, "Ms. Ikonomova," been his student, he would have "flunked" her for mispelling Adell's name. Lessenberry's radio show came on the air last July, two months after Deadline Detroit published the in-depth report that revealed behavior considered offensive by female colleagues at a Memphis newspaper and, more recently, by students he taught at Wayne State University. After the report, the university launched an investigation by outside attorney Tara E. Mahoney. Mahoney concluded that she would have recommended Lessenberry be terminated if he had not resigned as head of the journalism program in late June. At 910, Adell said Lessenberry will be replaced by someone named "Omar," whose last name he could not remember. Adell said "Omar" has filled in at the station before and appeared on CNN "a few times." Omar's show — which, along with his last name, is to be announced — will cover politics and community issues in Detroit.